Searching for inspirational discipline quotes and sayings. If yes, now don't have to search for them anymore. As here I have compiled down some of the inspiring quotes on discipline. Just hope you wil like the quote compilation and learn something new from here. 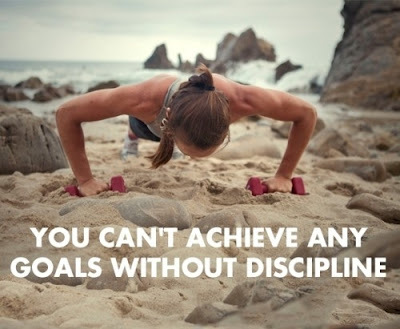 Discipline not desires define your destiny. What you keep before your eyes will affect you. Discipline isn't about showing a dog who's boss; it's about taking responsibility for a living creature you have brought into your world. We cultivate our feelings the way we cultivate a garden: we can't entirely prevent weeds from coming up, but we can take care to remove them before they do much harm. Freedom or prison--what's the difference? A man must develop unwavering will power subject only to his reason. If there is no discipline, there is anarchy. Good citizenship demands attention to responsibilities as well as rights. Inspiration is a byproduct of discipline... simply getting up everyday and planning, plotting, sketching, setting up or actually applying paint to a painting.